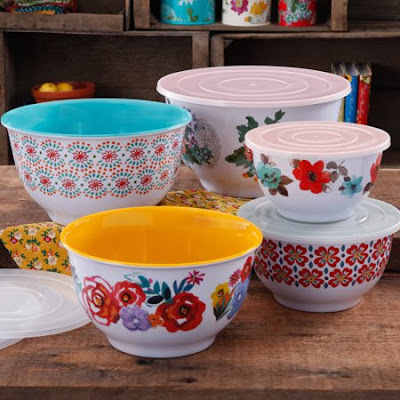 Right now over at Walmart.com you can score one of these adorable Pioneer Woman 10-Piece Nesting Mixing Bowl sets for just $24.50 (regularly $49)! Choose from two fun patterns. This timeless Nesting Mixing Bowl Set is great for everyday food preparation from mixing ingredients for baked goods to tossing salads. Plus, they make great serving bowls for holiday get-togethers, and each comes with a lids so storing left-overs is easy.